It's cold outside; stoke your metabolic fires with five workouts that burn big calories, take little time. It's hard enough to squeeze in your workouts as it is, but somehow the short, cold days of winter make getting regular exercise seem like an impossible chore. Hold out for stronger muscles. Difficult, yes. Impossible, no. If you've got 20 minutes, you've got time to work on a better body. 1. Treadmill running. Move over StairMaster and elliptical trainer, running on the treadmill is the fastest way to burn calories on a piece of gym equipment. In 20 minutes, you can burn approximately 200 calories running a 10-minute mile and 280 calories running 10 m.p.h. 2. Karate. A vigorous martial arts workout can burn as many as 250 calories in 20 minutes. Kiai! 3. Basketball. Get a good game of b-ball going and you can burn about 224 calories in 20 minutes on the court. 4. Spinning. Take a spinning class and blast those calories away. In 20 minutes of aggressive spinning, you can burn about 220 calories. Just think of what you can do in an hour. 5. Cross country skiing. 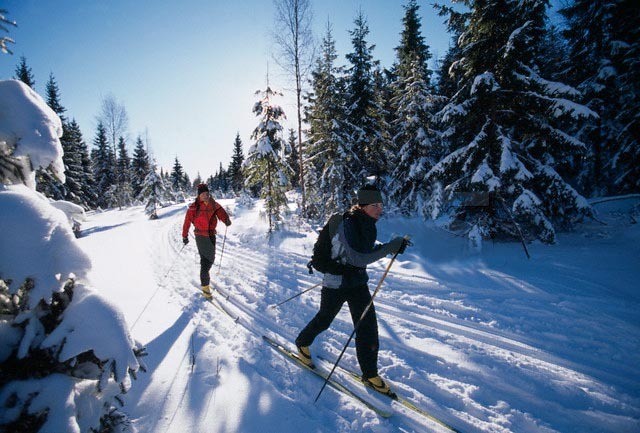 Downhill skiing is good exercise and great fun, but if want to burn calories fast, it's cross-country for you. In 20 minutes, you can burn about 217 calories. * Calorie burn based on someone who weighs 140 pounds.